Lady Victoria Mansfield seems to have it all and soon she will be presented in London in hopes to meet a future husband, but her life takes an unexpected turn when her family and friends find out about a secret that she has been harboring. Victoria, or Tory, is a mage, which is someone that has magical powers, and they are frowned upon, especially by the upper class. Her parents send her away to Lackland Abbey to be "fixed" with the hope that she can return to her life, but everyone knows that her life won't be the same as society doesn't accept mages. Lackland Abbey is a reform school for mages like her and at first, she just wants to get through it and return to her life back home. As Tory becomes more accustomed to Lackland Abbey, she finds many secrets out, meets new and exciting people, and even comes across something that will change her life forever. Dark Mirror, the first book in the Dark Passage series, by M.J. Putney will surely captivate fans of historical fiction. One of the best aspects about this book is the fact that Putney combines time travel, historical fiction, as well as fantasy elements and you guys know that I LOVE that combination. I could tell that Putney really enjoys writing about historical fiction; it truly showed in her vivid descriptions. Plus, Putney combined not one, but two different time periods and made them extremely realistic. By combining the two time periods in this book, it had me thinking about the similarities between certain wars and how sometimes history truly repeats itself! I also like the fact that I could easily bring this book into my classroom and recommend it to my students as it is extremely age appropriate. There is a love interest, but it is all very sweet and there's nothing too edgy. 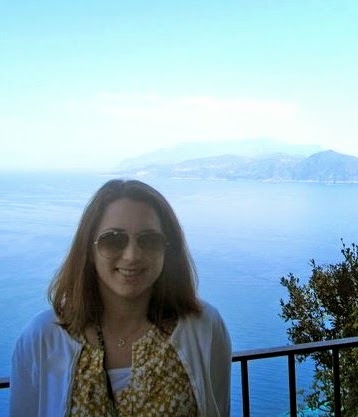 Also, I enjoyed the main character of Tory; in fact, I think she is a bit of a role model. She had to make a tough decision and didn't take the easy way out, which is something to be admired. Her life changed forever due to that one small decision; she decided to do the right thing even though it wasn't easy. That's a good message for young readers. My only issue with the book was Tory's love interest and their blossoming relationship that was unfortunately predictable at times. I don't want to give too much away, but I didn't "buy it" like I was hoping for. Their relationship didn't seem real enough to me and because of that, I had a hard time believing it or becoming invested in it. A side note: I thought this was strange as Putney is known for her adult romance novels . Hmm. All in all, this was a great start to a new series that I know fans of YA historical fiction will savor. How could you not when Putney combines two very different time periods so brilliantly? If you are interested in reading Dark Mirror, keep your eye out for a giveaway coming up tomorrow! 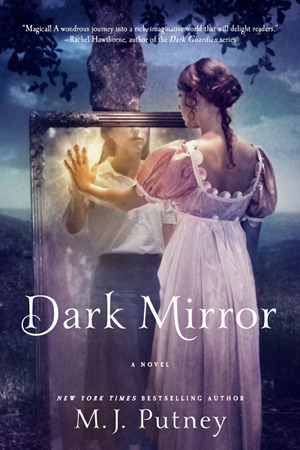 I have Dark Mirror on my TBR list - it sounds so good from your review. I love historical fiction, so combining that with fantasy sounds amazing! I've seen this one around, but hadn't ead much about it until now. I definitely think the combination of time travel and historical fiction sounds like something I would like. Fabulous review Christina, I'm really excited for this one. I'm so glad to know the time periods feel very realistic and though the romance sounds a bit disappointing, everything else I think might make up for it:) Can't wait! Great review. This book has been on my radar for a while now and I'm glad to hear that it's a great story. Love historical fiction!! Yay! 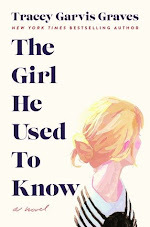 I won this from Goodreads and am glad to hear it's good :) Great review! I think you guys will love the combo of fantasy and historical fiction. I hope you guys get your hands on a copy. Thanks for visiting my review! I didn't love the romance either. The dialogue felt very cheesy and contrived to me. I did love the historical fiction/fantasy combo, though.